I was never too fussed on Saucony trainers, until I got my first pair last year. A lad I used to work with always used to wear them and nothing else. I was curious as to why he was so dedicated to them. So, I just asked him why? Bearing in mind this lad was one of those silent type of guys. Wouldn’t talk much, got on with his job but was always right. His reply was, “They’re the comfiest trainers about, simple as!”. From his short reply, I decided to invest my money in a pair of Saucony ‘Jazz’ last November. To this day they remain one of my favourite investments; he hit the nail right on the head. 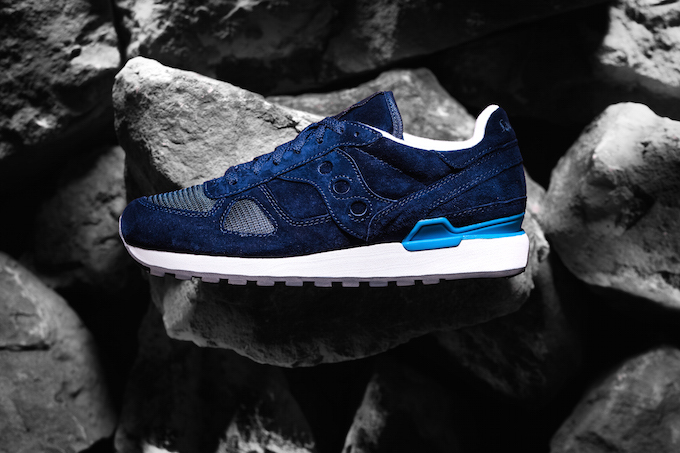 Saucony are indeed one of the most comfortable shoe brands going. Anyway, enough of my sh*t shoe stories. 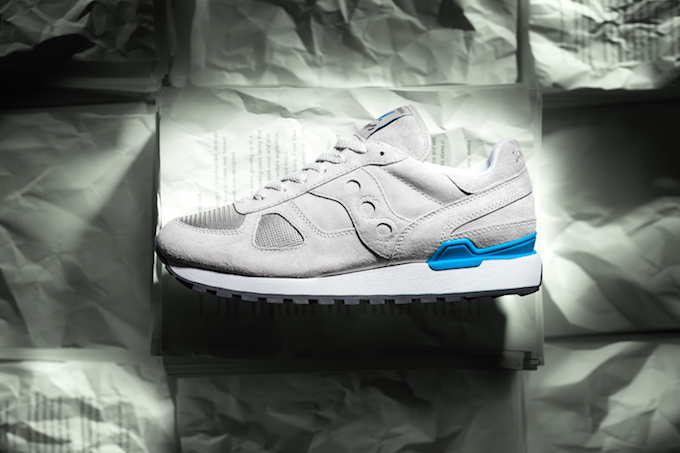 David Keyte, owner of the brand Universal Works, has been working closely with the American shoe company Saucony, to offer us his take on what a technical running shoe should look like. As most of us know, Universal Works, are brilliant when it comes to workwear and sharp, clean, looking garments. No surprise then, that Keyte took inspiration from various blue collar workwear and tailoring associated with the ‘white collar’ work style; offering us the detailing and shapes of classic sportswear which is portrayed through the Shadow Original Work Pack. The trainers feature premium soft suede uppers in a choice of navy or stone while sitting upon a crisp white mid-sole and grey tread. Finished with the signature argon blue heel-cup and tongue label branding. All made with good durable components, what more could you want? Universal Works like things simple. Small production, quality materials and a wearable product. As my mate so rightly said…’Simple as!’.